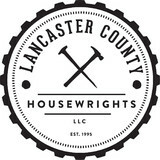 Lancaster County Housewrights is an accomplished company offering residential renovation services of the highest quality and distinction. With over 47 combined years of experience in the trades, we are Master Craftsmen. Our pride and dedication to our trade is second to none, and our passion for creativity pushes us to an excellence and capability that, unfortunately, is seldom seen in the trades anymore. Sylvan Stoftzfus Builders (SSB) designs and constructs custom wood and timber frame structures in the mid-Atlantic region and beyond. 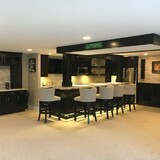 Since its beginnings in 1999, the company has constructed or renovated hundreds of barns, garages and residential structures in Connecticut, Delaware, Maryland, New York, Pennsylvania, and Virginia. The SSB building teams are made up of skilled, experienced craftsmen, most of whom are Amish. They know and trust each other. They work hard and take pride in a job well done. It's not just a work ethic, it's a way of life. Their knowledge of all types of construction helps them interpret the design interests of each customer and reproduce building details with historical accuracy. JH Strain Cartpentry's first major contract was to remodel the Petty Officers' Club at the Philadelphia Naval Yard for the Navy's Bi-Centennial in 1975. From then to now, we've been involved with historic restoration, new and not so new homes, and major renovations. Currenty 40% of our work is done for developers, while the rest of our time is spent with private home owners, and custom builders. 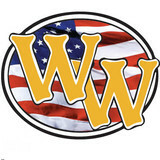 Our company is a husband and wife team with years of experience in hundreds of homes. We enjoy working with people to develope the design best suited to their lifestyles. We are very capable of coming up with modern, classic, and traditional styles, as well as craftsman and colonial. Our goal is to provide a solid, well crafted job that we can take pride in and that our clients will be proud to have! New Creation Carpentry is a fully licensed (NJ & PA) and insured, Christian owned and operated, Burlington County, NJ based company specializing in home remodeling. New Creation Carpentry is built on reliability and integrity. Your phone calls will be returned, your home and family will be treated with respect, your home will be kept clean and your time will be respected. 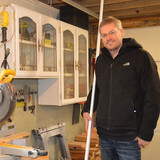 New Creation Carpentry guarantees its' work! In need of some woodwork? 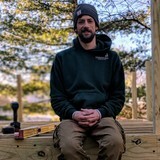 Chances are you’ll want to hire a Chatham, PA carpenter. Carpenters work with all types of wood and can specialize in many different areas, including framing, finishing and custom-made furniture. Make sure you choose the right Chatham carpenter for your job by asking plenty of questions, viewing their past work and reading reviews.